Tabletop Tycoon has added game publisher Victory Point Games as a publishing imprint retaining their VPG brand and logo. We are very happy to be working with the entire team at Tabletop Tycoon. By allowing us to focus on what we do best, developing and creating amazing gameplay experiences, it means more great games and expanding game universes for our popular series are closer on the horizon. We have worked very well with the team from Victory Point Games for a long time. We are pleased to have their team joining our staff to continue to expand opportunities for the fans of their games. 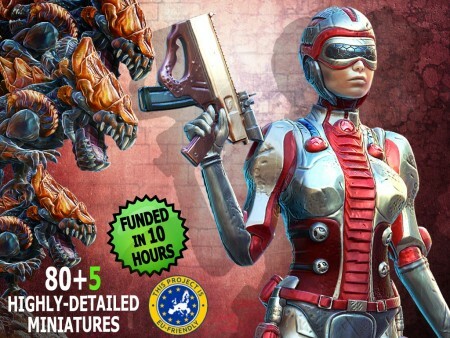 Game Salute launched a thematic dice Kickstarter campaign inspired by their Alien Frontiers game in March of 2013, eventually cancelling the entire project on April 18, 2016. 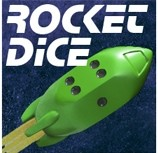 The rocket-shaped dice campaign was funded in 3.5 hours. The campaign originally was designed to produce six-sided dice with pips in the player colors for Alien Frontiers, eventually expanded into 12 colors of dice covering the typical range of RPG polyhedrals, Fudge (Fate) compatible dice, and numbered six-sided dice. Citing production difficulties with China-based Panda Game Manufacturing, the original manufacturer, and the cost of recreating molds with a new supplier, the company has cancelled the entire campaign promising a full refund for any products not yet delivered in the campaign. 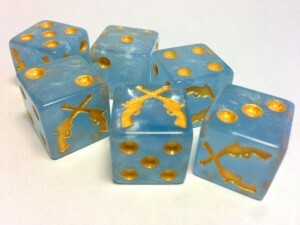 “After the multiple rounds of samples and revisions we had already attempted,” Game Salute writes, “we determined that we could not achieve the quality we would consider acceptable for mass production and delivery with a new supplier.” In June of 2015, the manufacturer cites “the intricate numbering that needs to be done on the RPG dice“, specifically the twenty-sided die as causing production difficulties. Of the Rocket Dice that shipped, apparently the six-sided dice were shipped out but with significant changes. Dice are normally finished via tumbler polishing, but after 23 iterations, that method wouldn’t give good results. ABS plastic (the plastic that is used to create LEGO pieces) solved production issues, but required hot stamping. “Larger pips did not work with the hot stamping, so the smaller [pip size] was the final fix to all previous problems,” Game Salute wrote in March of 2015. However with the change in pip size, some backers were upset with the resulting dice. Game Salute offered a refund at that point to dissatisfied customers. There have been several interesting game launches on Kickstarter over the past several days during our move! Let’s break them down here, shall we? Artipia Games has launched their Kickstarter campaign for Project: ELITE, their new real-time sci-fi board game. Players need to work together in short 2-minute rounds deciding quickly among defending their base, hunting down some aliens or completing their objectives. Special events and unique alien abilities make every round different and highly challenging for the players. To win the game they will have to rely not only on their special weapons and items, but on their fast reflexes as well. The game provides endless replayability with a 2-sided board depicting two different landscapes, 4 different kinds of objectives, 3 levels of difficulty and a plethora of weapons, items and events, making every game a unique, ELITE experience. giochix has a Kickstarter campaign up and running for The Foreign King, their new historical board game. 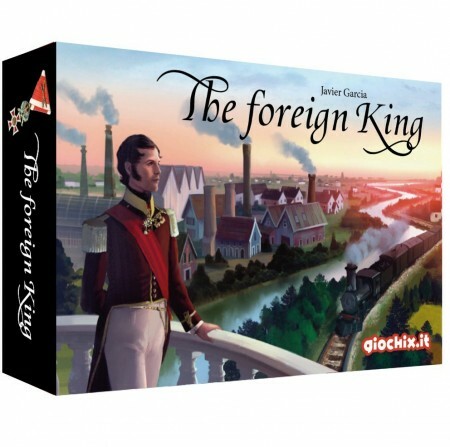 The Foreign King is a light-to-medium weight strategy game for 2-4 players, in which you lead one of most influent bourgeois family of Belgium. Main mechanics are placement and majority, and thanks to his ease of learning and fast pace, a game lasts about 40 minutes. During the game you must pay attention to many factors and to the different strategies that can lead you to the victory. In The Foreign King, opponent’s actions will be important for your strategy as yours. Especially remember: not only you must choose the best action but you also have to take it at the right moment or your opponent will prevent you to do it. The game is divided in turns. In a turn each player takes one action, choosing it from the action that are not yet performed by others players. Altema Games is running a Kickstarter campaign for Cauldron, their new board game of potion-building. 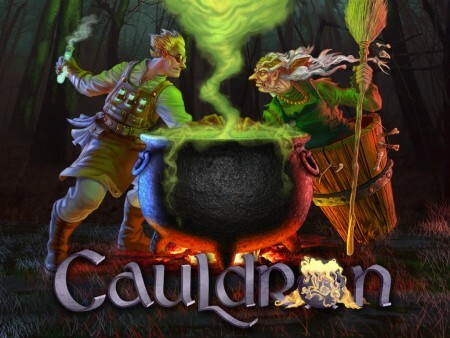 Cauldron: the board game of competitive alchemy is full to the brim with potion-brewing fun! Two to five players compete as mysterious and powerful potion brewers with unique skills for mastery of the arcane art. Harvesting spooky ingredients allows players to brew potions, growing their power. However, that power needs to be invested cautiously to make purchases that improve your abilities. Player interaction is key – it is important to be mindful of what others are brewing. Spells and stealing can help disrupt the plans of players who are getting too far ahead. Cauldron is a great game for all experience levels – it is welcoming, deep and plays in just over an hour. 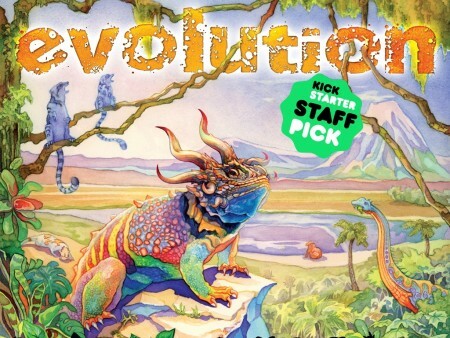 Evolution is a board game that plays in 60 minutes for 2-6 players ages 10 and up. In the Evolution game system, players adapt their species in a dynamic ecosystem where food is scarce and predators lurk. Traits like Hard Shell and Horns protect your species from Carnivores, while a Long Neck help them reach food others can’t. Evolution (Second Edition) from North Star Games – With the benefit of feedback from thousands of plays, we’ve figured out how to make an already-great game better. Game Salute has launched a Kickstarter campaign for Fast & Furious: Full Throttle. 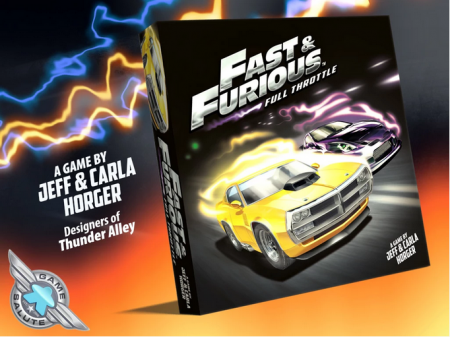 Fast & Furious: Full Throttle comes with a double-sided game board offering two different street courses. In the mood for a long, race? It’s there. Maybe you’re looking to live a quarter mile at a time? You’ve got that option too. To increase the replay value, players decide where the start and finish lines are before each race using the included Star and Finish cards. The chosen course also dictates the number of upgrades available to players before the race begins. Upgrades can be spent on your car to supe up its steering, nitrous, engine, tires, and more. Drivers further modify the race experience as each one comes with their own special bonuses. 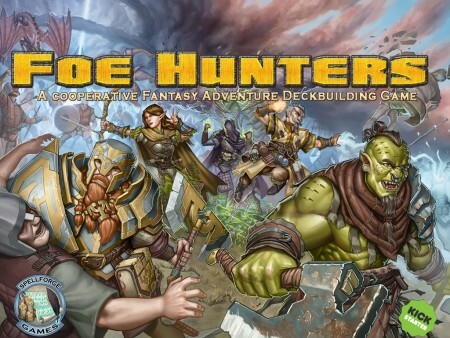 Spellforge Games has launched a Kickstarter campaign for Foe Hunters, an exciting co-operative, multiplayer deckbuilding/adventure game set in the realm of high fantasy! Players take the role of heroes that are working together to thwart the evil Foe. On their adventure the heroes will work together in an effort to bolster their party and fend off this powerful enemy. The players will harness mighty abilities and powerful equipment while they work as a team to rid the world of this wretched evil! In Foe Hunters each player selects one of the Heroes to play, each having its own unique starting deck. After selecting their Hero, the players set up the Foe deck and the City deck and you are ready to play! Each turn the player can play a card from their hand, buy a card from the City deck, and activate a heroic Feat in any order. Cards purchased from the City deck go directly into your hand instead of your discard pile, so you can play them right away! Once you have done these simple actions, your turn is over and the next player goes. Once all players have gone, the round restarts with the Foe activating their powerful abilities. Gameplay continues until the party is dead or the Foe is dead, whichever happens first. Game Salute has two great looking new games hitting store shelves on Friday, August 15th. The first, Dreaming Spires, is about building an Oxford college from the medieval era to modern day. Players compete by erecting buildings, admitting scholars, and putting on events. Everything from the art direction of the game to the flavor text littered throughout has been carefully crafted to fully immerse yourself in the theme. The game will play 3-5 players from ages 10+, and will is set to retail for $60. 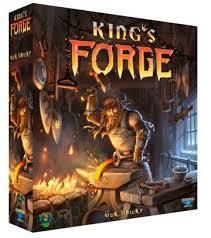 King’s Forge is a game about craftsmen and craftswomen trying to create items off the king’s list in order to become Craftsmaster to the King. 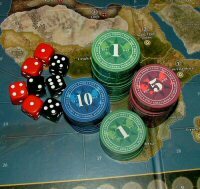 It’s a game of dice-rolling resource management with a bit of planning and a bit of luck. Designed for 2-4 players ages 14+ with an MSRP $50. Gangfight Games has some new custom Blackwater Gulch dice available. Everyone loves dice, right?! Game Salute has decided to release a permanent Blackwater Gulch dice pack! They feature the same crossed Colt 45’s found on the Rebels & Reinforcements dice, but with a different color blue. These are much more sparkly! 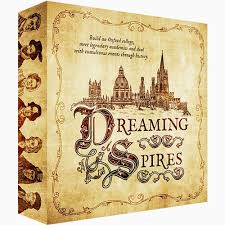 Secret Games, along with Game Salute, is running a Kickstarter campaign for Dreaming Spires, their new board game. They’re already more than 4x their funding goal, so it’s stretches for the short remaining 9 days. 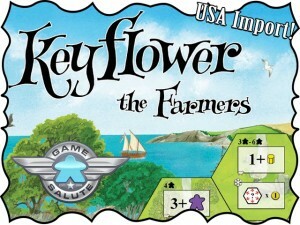 Game Salute is bringing Keyflower: The Farmers to the USA and giving you the opportunity to get a copy of the original Keyflower, too. Keyflower: The Farmers is an expansion for the game Keyflower. In that game, each player develops his own unique village over four seasons by successfully bidding on a variety of village tiles (specialized buildings and boats), skills, resources, and workers (“keyples”). 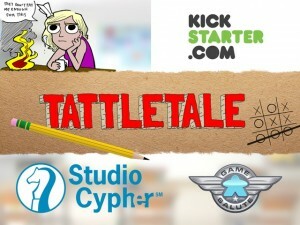 Studio Cypher along with Game Salute are running a Kickstarter campaign for Tattletale, a new card game. Tattletale is a fast-paced micro-game about the shifting allegiances of elementary school. Each player secretly represents a different faction and plots or opposes plots to get the most playground glory before the teacher has had enough and shuts everything down. During the game, successful plotting will increase the amount of Homework or Horseplay in the school. 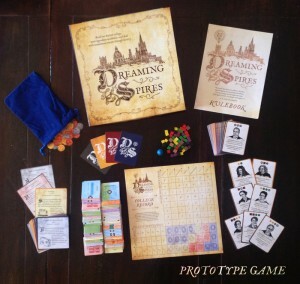 In addition to earning points for plotting or stopping a plot, each player’s secret role gives them bonus points at the end of the game. They might be any of five roles, including the Teacher’s Pet, who earn points for Homework, the Jock, who scores for Horseplay, or someone a little unusual like the BFF, who scores with another player. Twice a game, the teacher comes in and players literally point fingers at each other to cast blame and reduce glory. The basic turn is structured as an iterative Prisoner’s Dilemma with the extra twist that a third player opposes you and can cancel both actions if they guess cleverly.